UPDATED: New link in comments. 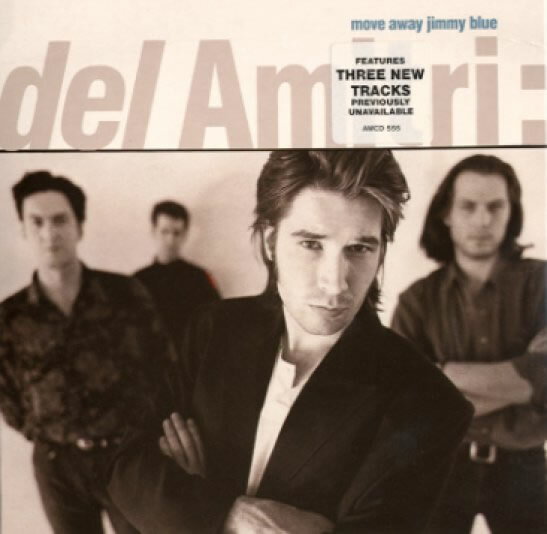 Actually, though, on their self-titled debut from 1985, del Amitri -- then spelled with a small "d", mind you! -- DID have a strikingly original sound, taking the spiky, linear, intersecting guitar sound of seminal New York band Television, and rendering it with acoustic guitars in more melodic songs. Many fans of the band the dels eventually became (i.e. the Dels!) neglect or disavow this material, since it does sound so different from the rest of their output. Still, the debut remains my favorite album of theirs, and one of my favorites of all time. I wanted to start off this series with these tracks from their second disc, Waking Hours, since they will no doubt have broader appeal. But their are a handful of early tracks which were not appended to the great reissue of the debut from a few years ago (which added three bonus tracks), which I will offer next as Vol. 1 in the series, before continuing chronologically through the band's career. There will be posts of uncollected songs from each stage of their career, followed by a series of live and/or alternate recordings. I'm really excited to share this material, the secret history of Del Amitri, a band that deserved more attention than they got. Speaking of which, I'd be most remiss if I didn't direct your attention to Justin Currie's new, second solo album, The Great War, a strong follow-up to his masterful solo debut, What Is Love For. If these posts leave you hungry for more, make sure you hear what he's up to today! Meanwhile, get ready for plenty of The Rare Stuff -- Del Amitri style! Thanks for the del Amitri b-sides. They've been a guilty pleasure of mine since I bought Waking Hours (can it really be 20+ years ago?) and I can't seem to get anybody else to listen to them. so glad you upped these again, as I'd missed them and had many of them only on vinyl! Thank you can't wait for the rest. This side of the morning Live in a Car Park too? A big thanks from another newbie to the blog!